Renowned for his creative spark, Giles launched his career in advertising where he built up his reputation for 12 years, winning not one but two IPA Advertising Effectiveness Awards. He brings an invaluable 360 degree perspective to any project with a wealth of experience in communications, packaging and corporate identity as well as a strong hand in brand consultancy! 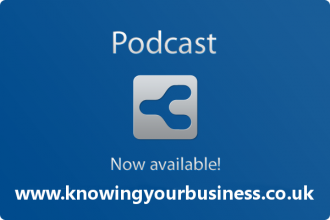 This Knowing your business show is presented by Ian Gentles and guest presenter Joy McCarthy.